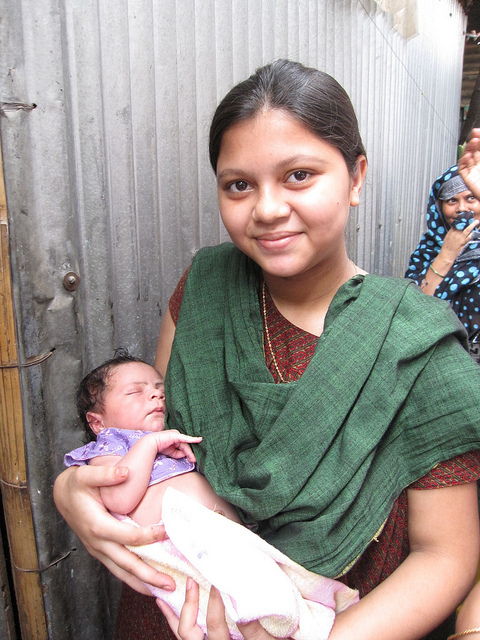 MCSP is developing a model to improve the quality of health services for adolescents and young mothers and parents. This includes providing the knowledge, skills and care to delay early childbearing, and have healthy pregnancy, birth and postpartum periods (including postnatal care, postpartum family planning, and child health practices). MCSP’s adolescent-friendly health care portfolio comprises two complementary work streams: ensuring access to adolescent responsive health services; and developing strategies to increase use of health services for first-time and young parents. In Mozambique, MCSP adapted a group-based approach (“Our First Baby”) to engage male partners. In Madagascar and Nigeria, the Program conducted formative research that used a socio-ecological lens to explore the factors influencing first-time and young parents’ use (and non-use) of health services, and used this information to inform intervention design. In Madagascar, the Tanora Mitsinjo Tanaraka initiative, which means “young people looking after their legacy,” trained community health workers to conduct home visits with first-time and young parents. In Nigeria, MCSP is testing an adapted version of the Our First Baby approach in two states. In Guatemala, Haiti, Liberia, and Rwanda, MCSP is testing different facility-based approaches to ensure that health services are responsive to the needs of adolescents. In Nigeria, we are also testing a set of age- and stage-specific counseling tools that support facility-based health providers to tailor counseling based on adolescent clients’ age (very young adolescents age 10-14, older adolescents age 15-19) and life-stage (unmarried, pregnant/parenting). These workers are oriented on adolescent development, best practices, and age-specific counseling skills.